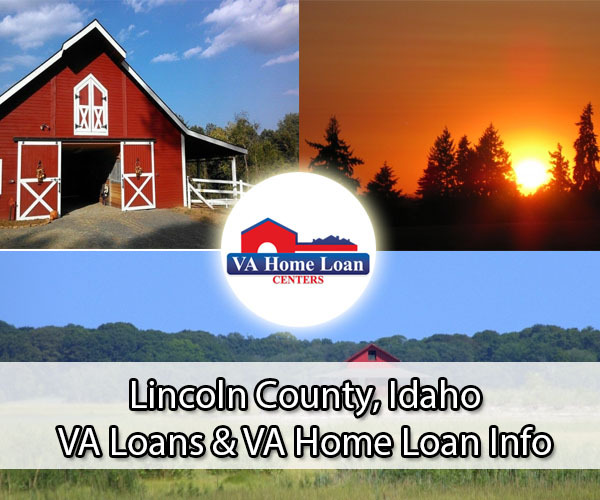 The 2019 $0 down, VA home loan limit for Lincoln County is $484,350. Lincoln County is located near the center of Idaho and possesses some of the best views in the state. The Idaho State Legislature officially created the county from a portion of Blaine County on March 18, 1895. Lincoln County was named after former United States President, Abraham Lincoln. The county has a thriving school system and many great restaurants and shopping options. Lincoln County encompasses a total area of 1,206 square miles, 1,201 miles of which is land, and 4.5 miles of which is water. The total population of the county is 5,316, including a veteran population of 292. A popular area to enjoy the beautiful outdoors of Lincoln County is the Craters of the Moon National Monument and Preserve. Craters of the Moon features interesting volcanic formations, including the best-preserved flood basalt area in the continental United States. There are several lava fields and rift cracks, great for exploring. Many diverse species of plants and animals make their home in Craters of the Moon, including western toad, brown bears, woodrats, and more. Visitors are offered tours, and there are even several picnic areas located in Craters of the Moon Preserve. There are many fun events that are held in Lincoln County each year. The Lincoln County Horse Show judges some of the most beautiful animals you can find in Idaho. There are also several events at the horse show that include barrel racing and a rodeo! Another great event is the Lincoln County Fair. The fair features great food, fun games, and even a pig show. The Lincoln County Fair is a great place to feel like you are really part of the Lincoln County community. The Veterans Memorial is a lovely image on a marble slab that is dedicated to the men and women who have served our country. Veterans living in Idaho are offered many great benefits, including disability compensation, tax benefits, educational benefits, employment assistance, and much more! The median housing cost is $120,300, and the median household income is $42,433. Complete a VA loan application with VA Home Loan Centers for help financing your new home! 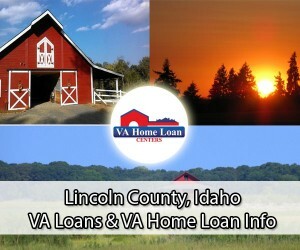 Contact VA Home Loan Centers for help finding a VA-approved property in Lincoln County. There are not currently any VA-approved condos located in Lincoln County. For help getting a condo approved, click here.